To celebrate the arrival of our 2017 Treehouse Calendar, we're taking a look back at ten of our favorite treehouse calendars through the years. These beauties have featured hundreds of treehouses from around the world! We can't resist adding to our collection every year; have you been collecting them too? Join us on our journey of treehouse calendars through the years! The 2017 Treehouse Calendar features the Laurel Tree Restaurant Treehouse in Utopia, Texas. For a behind-the-build look at this romantic dining treehouse, check out the treehouse tour blog post! Each month includes a look inside and fun details about the treehouse. The cover star of the 2016 calendar was this gorgeous Lake Chelan treehouse. Doesn't it look like a page from a fairytale? 2015 featured this nest-like treehouse in Hokkaido, Japan. 2014 displays this colorful English treehouse. 2012 featured the Victor Brothers' fantastical treehouse. 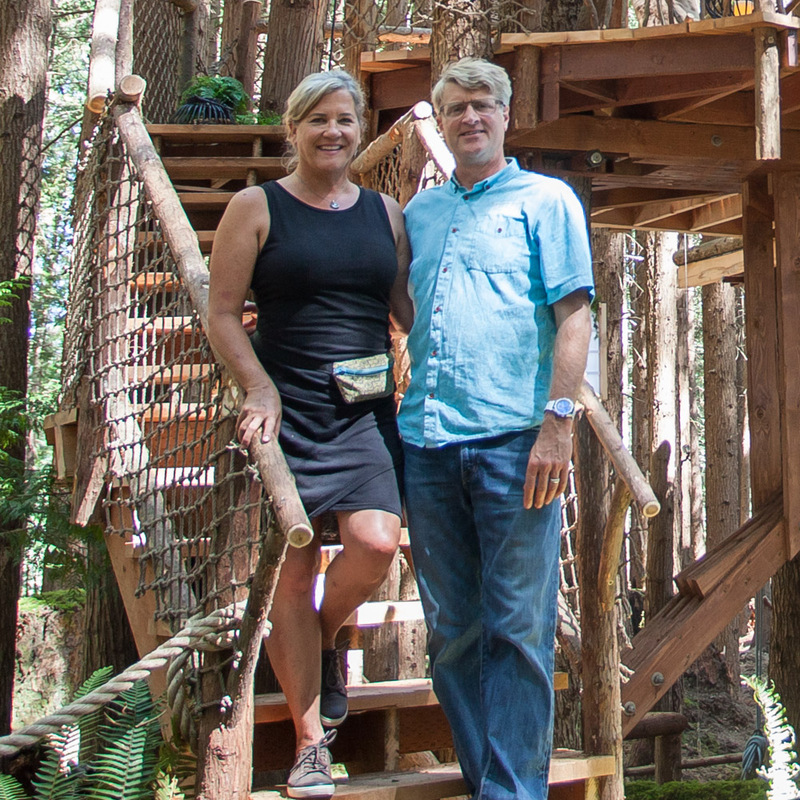 Check out Michael Victor's treehouses of the Pacific Northwest app for an inside look at more treehouses! We could only find the cover for 2012... shout out to those of you who have the full calendar! Let us know if that's you in the comments below! 2011 featured a treehouse built in South Hampton on Long Island, New York. The cover star of 2010 was none other than the majestic Temple of the Blue Moon at Treehouse Point. 2009 displayed a cozy treehouse built in Wilsonville, OR. The cover of 2008 was this imaginative treehouse in Redmond, Washington. Last, but not least, our 2002 cover featured a treehouse at Out'n'About Treehouse Resort. This is the oldest calendar in our collection! It's been so much fun remembering ten of our calendars! Hanging a treehouse calendar on our walls is a small daily way to keep our minds and hearts in the trees; we hope you love our calendars as much as we do. You can order a copy of the 2017 calendar at Be in a Tree. How many treehouse calendars have you collected? Do you have a favorite edition? Let us know in the comments below!